A visitor visits a website and looks at a particular product once, before looking at 50 other products over the course of the afternoon. After leaving the site, the visitor notices the first product they looked at seems to be following them. Not only do they receive an email informing them they ‘forgot to buy’ the item, but there are banners promoting it on a handful of websites they look at (including Facebook) for days, even weeks, after their initial visit. Visitor gets frustrated and vows never to look at the brand’s website again. Why is this browse abandonment strategy broken? 1) The visitor might not be interested in the first product looked at and found more relevant items on a different page of the website, however was not targeted with these other products. 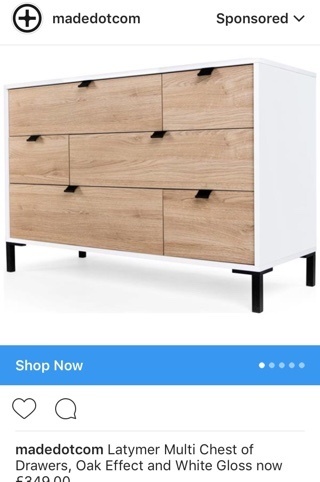 2) The visitor may have actually purchased this item, however - due to the fragmented nature of the brand’s data- the ecommerce marketer isn’t aware of this and continues to retarget. 3) If the visitor added the first item looked at to their cart but then changed their mind and removed it, that visitor could receive both a browse and cart abandonment email. 4) Retailers might be missing out on knowing which channels will be most effective for each individual customer according to their order history (e.g. If a customer tends to buy via Facebook or is more responsive to Instagram). Turns out stalking your website visitors around the internet and hounding them with ads at every turn isn’t always the best way of getting them to buy stuff. 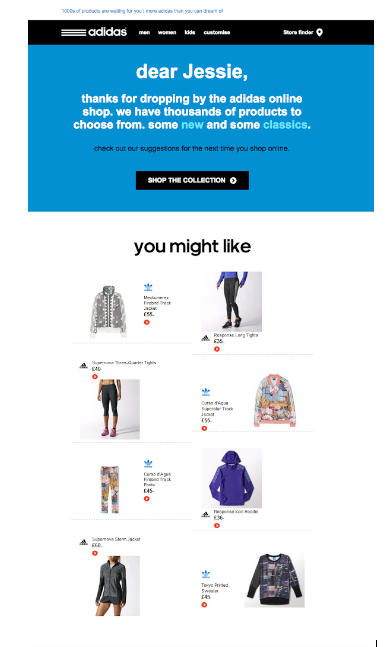 But when done right, browse abandonment can be a good way of reminding your website visitors of products they loved, and pushing through a purchase. In addition to traditional retargeting networks, today’s ecommerce marketers have a number of other options available to them to incorporate into their browse abandonment campaigns. Triggered emails: Sending an email when an identifiable contact or customer has been looking at your site, containing the products browsed. If this first email was delivered but not opened, you might want to follow this up with another email with a different subject line. As email is one of the cheapest mediums of communication, this is a good starting point for your campaign. However, if triggered email proves ineffective, you can then turn to social media and/or retargeting networks if your data suggests this will be worthwhile. Social custom audiences: Retargeting those who have browsed your site with ads via custom audiences on Facebook, Instagram or Twitter. To recap, this works by adding the user to a list which can then be automatically synced to - for example - Facebook. The user will then get automatically retargeted on Facebook (assuming it finds a match on the email address) using ads you will have previously created. It’s worth pointing out here that each touch point should be treated differently. For example, whilst browse abandonment emails can be very precise, social media - such as Facebook- can be more subtle. If you have the capabilities, you could also add this person to a CRM retargeting list to run a display retargeting ad on a wider network, again using ads you’ve previously created and segmented. Take note: don’t forget to remove the person from the list synced to Facebook as soon as this person made a purchase. Google AdWords: By integrating with Google AdWords, you can bet on search terms which are relevant to the items visitors have browsed / shown interest in. Find out more about this here. Regular broadcast emails: As well as using triggered email, you can also introduce your regular newsletters as part of your cross-channel browse abandonment campaign. Inserting a dynamic content block into your regular broadcast message containing recent products viewed can be a more subtle way of reminding a visitor of these forgotten items, whilst also delivering other useful content. You can use segmentation as a way to ensure your browse abandonment campaign is executed in such a way that reflects where the customer is in their journey with you. Ultra VIP: You may wish to not retarget this group at all, as they shop with you regularly and you don’t want to risk annoying them. VIP customers: Minimal targeting and only through preferred channels. Active/repeat customers: Typical cross-channel campaign sequence. At risk/lapsed customers: More follow-up than campaign sequence, potentially with offers or discounts. New subscribers: Include an offer or discount to incentivise first purchase. It’s also worth trying out category or style-specific ads, rather than just retargeting people with specific products. Or, you could create a single category-focused ad based on a user’s browsing history and using that to target them. For example, someone may have browsed several items in your ‘dresses’ category, so you could target them with a general dress-related ad rather than including specific items. The common denominator throughout all of the above points is the importance of the single customer view. Ultimately, your browse abandonment campaign should be based on visitor’s overall behaviour, not just a one-off browsing session. 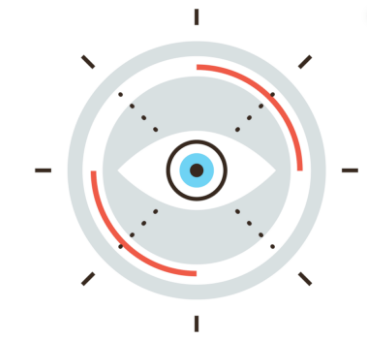 By having a clear picture of each visitor, you will know when to dynamically remove individuals from campaigns once they have (for example) made a purchase. As Djalal puts it: “If someone browses multiple products on your site, having a single customer view lets you determine how many times they browsed particular products over a certain timespan to have a better understanding of their behaviour. 1) The difficult one: Go to complex attribution models where you have to literally track every channel performance by putting a weight on it. 2) The easier one: Compare the customer lifetime value (CLV) for all customers that entered the campaign, before the campaign and after the campaign. The total change in LTV for these customers provides a measure of the revenue generated by the campaign. Note that this measure of performance can be impacted by factors other than the campaign. Despite this, it remains a simple and effective way of measuring campaign performance.